Upload a photo of your hardware using the form below. We sell steel doors and frames, wood doors and frames, fiberglass doors and frames & storefront doors and frames. 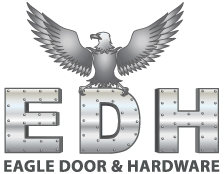 We also sell door closers, locks, hinges, panic (exit) devices, weather-stripping, thresholds, pulls/push plates, door coordinators, cylinders, electric strikes, kick plates, pivots, signs, vision frames, louvers, bathroom partitions, electro-magnetic holders, grab bars, alarm devices, security hardware, ADA (handicap) hardware, electrified hardware, low-energy (power-assist) hardware/operators, etc. 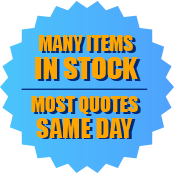 We will work with you to get you the products that you need at an affordable price.